While serving as governor of Deccan, Prince Aurangzeb started feeling uneasy about being sidelined by his father and his oldest brother, Prince Dara Shikoh. The emperor had favored Dara Shikoh to succeed him and this was not acceptable to the younger brother Aurangzeb. In Deccan, he colluded with a Mir Jumla, a rich Persian adventurer, in the service of Golconda Sultan. In 1656 he took Hyderabad and laid siege on the fort at Golconda. He was ordered to abort the siege by Shah Jahan on the advice of Dara Shikoh. The following year it was déjà vu in Bijapur. Dara Shikoh was not taking any chances lest Aurangzeb gain fame from his victories. Aurangzeb was deeply disappointed and frustrated. A deeply orthodox Sunni Muslim, Aurangzeb did not accept the Hindu infidels or the Shiite sultans. He was determined to rule over a large empire and convert it into a deeply fundamentalist Muslim State. The illness of Shah Jahan in 1657 precipitated a flurry of activities amongst his four sons who considered themselves contenders to the throne. This was also a necessity and an inevitable fight until death as history had shown that the losing sibling would suffer deadly consequences. Dara Shikoh had the best chance as he was in Shahjahanabad (Delhi) at the time and favored by his father. Prince Shuja was pressing from Bengal, where he was the governor. Prince Murad Baksh from nearby Gujarat joined the advancing army of Aurangzeb. Shuja was beaten back by the imperial army under Jai Singh. He eventually fled to Burma (Arakan coast) and was never heard from again. He was said to have been disposed off there on the orders of Aurangzeb by the king of Arakan. Dara faced Aurangzeb’s army with a depleted army because of the fight in Varanasi to stop Shuja had taken his best troops. Dara also fled prematurely to Lahore. 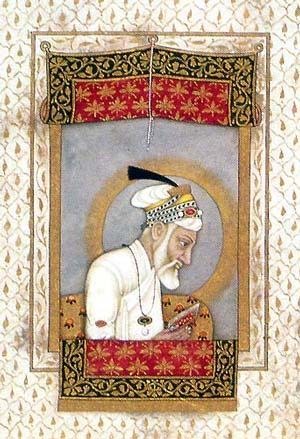 Aurangzeb occupied Delhi and Agra and put his father, the emperor Shah Jahan under house arrest. Aurangzeb occupied Delhi but he knew his position was far from being secure as far as his archenemies, namely his siblings, were alive. Shuja had been disposed off in Burma. Murad, his ally thus far was easily imprisoned and later beheaded. Dara eluded Aurangzeb for a while but when he eventually was captured, he was humiliated in the streets of Delhi, dragged in chains. To seal his fate and leave no doubts in the minds of his supporters, his body was cut to pieces and then again paraded in the same streets. Mir Jumla was sent to Assam, where he briefly won that state but was bogged down in the torrential monsoon rains and then died. Dara Shikoh would have made a great Mughal emperor. He had the demeanor of Akbar the great. He was the most tolerant of all the potential candidates and because of this he also went afoul with the ulema (Muslim scholars trained in Islamic law). He was a scholar of repute and he consorted with Hindus, Christians and Sufis. He even translated the Upanishads into Persian. He contended that Hinduism and Islam were essentially similar. This gave an excuse for Aurangzeb, who was an extremely orthodox practitioner of radical Islam to claim that he was saving the empire from idolatry and decline under Dara. Many saw Aurangzeb’s cause as legitimate and just. Aurangzeb proclaimed himself emperor in 1658 and confined his father to the hallways of the Agra fort. He gave himself the title of Alamgir, Conqueror of the Universe and immediately set upon his dream of expanding his empire. In addition to Assam and Kashmir, he also claimed Tibet. Deccan had already been subdued except for the trouble being created by the Marathas. He also began his dream of converting the entire Indian population into a Muslim community. Gross discrimination in the ranks of administration and strict prohibition of intoxicants according to Islamic law was imposed. The hallmark of many Mughal generations of art, music and dance were banned. The hated jizya that had been lifted by Akbar was reinstated for all Hindus. When the people in Delhi protested they were ordered to be stampeded by elephants. Temple desecration was again begun in earnest, though it had never been completely stopped during Shah Jahan’s rule. Varanasi, the holiest Hindu site was attacked because of lingam worship, the worst form of idolatry according to radical Islam. A mosque was built in its place. An order was issued that all new temples and others in strategic locations were to be destroyed or converted to mosques. Non-Muslims were blatantly treated as second-class citizens and bigotry was encouraged with impunity. Rajputs and the Sikh communities were alienated and the enormous diplomatic work done by Akbar in bringing the religions together was undone with callous disregard. Guru Teg Bahdur, the ninth Sikh holy man was executed, which only led to the Sikh community becoming a militant force under the next and last Guru Gobind Singh. Despite all these ignominious and inglorious activities, infringing on the freedom of religion for non-Muslims, Aurangzeb ably managed to keep the empire together. He was a very able administrator. His tendency towards trusting nobody, including his own sons, certainly played a large part in his longevity. When revenue streams in Delhi were streamlined and the royal treasury was seen to be safe with a steady flow of cash, Aurangzeb turned his attention to Deccan again. The Portuguese and the French were setting up trading posts in the peninsula. But his main adversary, and a worthy one at that, was the indomitable Shivaji. Son of Shahji Bhonsle, who had fought Shah Jahan in Ahmadnagar, Shivaji never accepted the Mughals as his rulers. He later founded the Maratha kingdom, in the northwest corner of Bijapur state, right under the nose of Mughal rulers. Shivaji was an opportunist and with ingenuity was able to carve himself a kingdom and considerable power. His Maratha riders gained a reputation as master fighters specializing in surgical strikes, usually as covert attacks. He made Pune his headquarters and tricked his way into many forts in the region. However, in the face of defeat he would have no qualms about relinquishing the forts and act as an agile and mobile fighting unit, only to reoccupy the forts when the enemy turned his back. Aurangzeb had experienced the tactics of the elusive Shivaji when he served as the governor of Deccan from 1652 to 1658. In 1682 at the age of sixty-four, Aurangzeb returned to Deccan never to return again to Delhi until his death twenty-seven years later. Though he was able to subdue Shivaji’s brood from time to time, he would never have the satisfaction of crushing Maratha power once and for all. They remained an anathema to him until his death. Prince Akbar, one of Aurangzeb’s sons had the demeanor and the views of his great-great grandfather and namesake, emperor Akbar. When his father showed no signs of relinquishing his kingdom, he became impatient and rebelled. When his Rajput allies abandoned him the Prince fled south and made an alliance with Shambaji, Shivaji’s son. Shivaji had died in 1680 at the age of fifty and Shambaji was more than eager to help the prince to topple the much-hated Aurangzeb. However, Prince Akbar failed to gain ground on his father and had to flee to Persia where he died in 1704. Aurangzeb’s campaign into Deccan would be endless. An active soldier even in his eighties, he could never extricate himself from here and return to Delhi. He and his entourage remained in Deccan for twenty-seven years until his death. In the process of fighting his adversaries, he extended his empire almost to all of India. Dissatisfied with their suzerainty status, he annexed Bijapur and Golconda and made them part of Mugahl territories. In Hyderabad, the emperor in the name of purifying it and ridding it of infidel Hindu Brahmins condoned heinous activities. Naturally, desecration of temples was a top priority. Shivaji’s son Shambaji was caught and promptly dismembered, joint-by-joint and limb-by-limb. His brother Rajaram and later his widow a Tarabai, as regent for her young son Shambaji II, continued to resist Aurangzeb. Aurangzeb towards the end of his life became more and more orthodox. Transcribing the Koran and stitching skullcaps for the faithful, he continued to believe his battle was a holy one (jihad). In his zeal to hold on to power, he had already disposed two of his sons. A third son had been imprisoned. His daughter was exiled because she kept corresponding with the exiled son Akbar in Persia. Lonely and desolate as an octogenarian he lamented and wrote that his misery would never end until death. He never found peace in his heart and fell seriously ill in 1705. Wearing only white robes with a long white beard and a sallow complexion, his ghostly figure was carried to Ahmadnagar to wait for his death. His misery ended two years later, when he died in 1707, almost ninety years of age. In the inevitable struggle for succession would follow. Two brothers had already been killed and one Prince Muazzam came out as the victor, after defeating another brother in a battle for succession. He assumed the name of Bahadur Shah and ruled for five years. But the long reign of Aurangzeb had left seventeen potential claimants to the throne, including his grandchildren and great grandchildren. As a result, the next seven years saw more bloodshed and in 1719, Aurangzeb’s great grandson, Muhammad Shah ascended the throne and ruled till 1748. British East India Company had its sights on the rich bounty in India and started undermining the Mughal authority. Other Mughal rulers held on to power with diminishing influence until the year 1858, when the British dethroned the last Mughal king Bahadur shah Zarfar II. The glory of Mughal rule of more than three hundred years ended in a whimper.